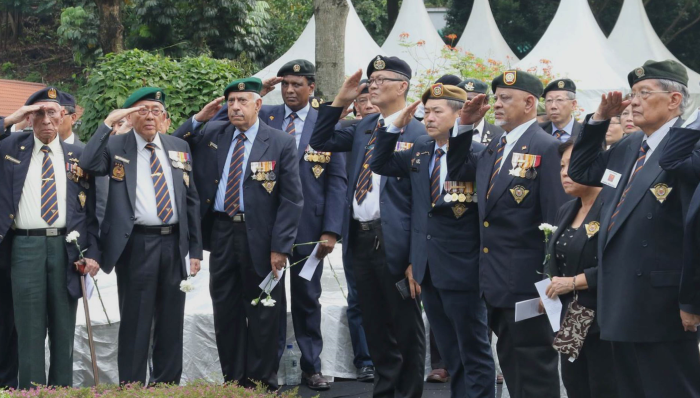 nessa Asia, a subscription-based hearing aid provider, has launched a new campaign to show its support for military veterans from the Singapore Armed Forces Veterans’ League (SAFVL) suffering from hearing loss. This via a crowdfunding initiative via GiveAsia. Through the campaign, nessa aims to raise SG$20,000 through this campaign and will match every dollar raised to achieve the target of SG$40,000. The funds will go towards purchasing three-year hearing aid subscriptions for the veterans, which includes smart hearing aids and unlimited support from home. Promotions for the crowdfunding campaign, which will run tentatively until the end of September, are carried out via Facebook. PRecious Communications is involved in this campaign while boutique digital agency Restart Group is responsible for nessa Asia’s marketing efforts. The campaign’s goal is to raise awareness on hearing loss, an issue that is faced by some of the military veterans. nessa aims to communicate the fact that there is no stigma attached to hearing loss, increase awareness on the prevalence of the medical condition and show that there are ways to seek help. In July 2016, nessa Asia provided free hearing tests to 150 SAFVL members. Upon completion of this pilot project, nessa’s next goal is to reach out to more individuals that may suffer from hearing loss, such as construction workers. “At nessa Asia, we are committed to dispelling the stigma of wearing hearing aids, by providing users with accessibility to a suite of add-ons that are not usually available with conventional hearing aids. We aim to empower veterans and those suffering from hearing loss by providing them with small, stylish hearing aids, to support them in their day-to-day interactions with friends and family,” Olivier Carnohan, co-founder and CEO, nessa Asia, said. “It is very humbling to know that nessa Asia is helping veterans suffering from hearing loss, educating them that hearing loss is not something to be ashamed of, and that they are not alone,” Lau Kee Siong, a retired SAF Colonel, nessa Asia member and VP of SAFVL, said.